Today we’re excited to announce our latest integration with Google — Shareaholic is now natively integrated with Google Tag Manager! Shareaholic is now an official tag vendor partner of Google Tag Manager (GTM), which means you can install Shareaholic on your website with GTM even more easily knowing that you’re in good hands and that you’ve made a great choice. 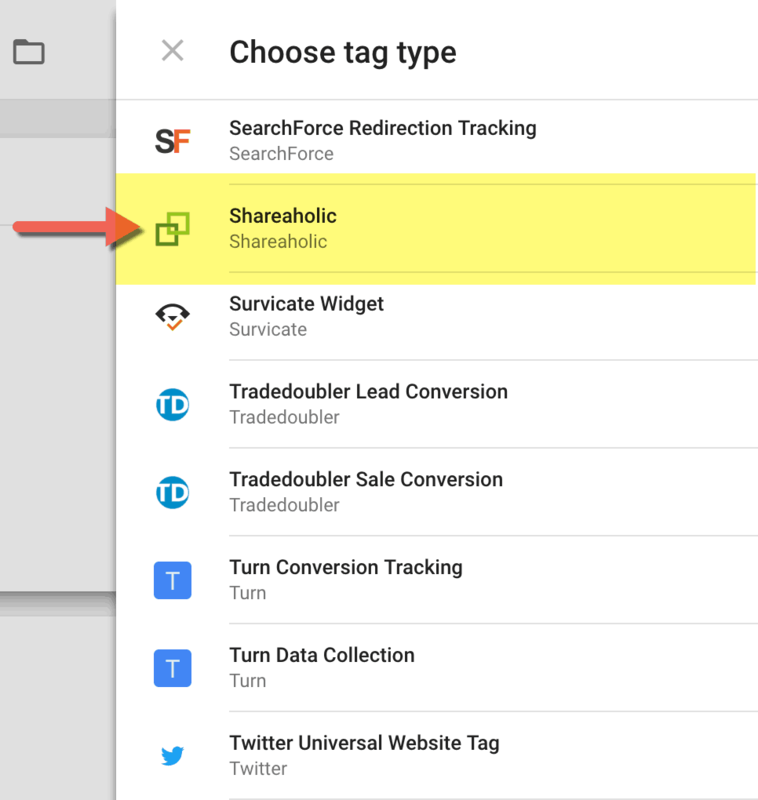 To install Shareaholic with Google Tag Manager, you simply need to select the pre-configured Shareaholic tag template available within your GTM interface and enter your Shareaholic Site ID. GTM then automatically generates the correct Shareaholic installation code for your site and completes the installation for you — without the need for any engineering or technical expertise. So simple! The best site tools. Works on any website. All for free.